Boaters will find any reason to gather friends and family together throughout the year, and the 25th of July is no exception. Every July, mid-summer Christmas celebrations crop up around the world. This holiday is perhaps most popular in Sydney, as Australians (whose Christmas actually falls in the summer) felt left out of a traditional white Christmas, and began hosting a second celebration in July. Christmas in July has since spread elsewhere and made its way along the coasts and islands for boaters to enjoy. Today, Christmas in July has become an occasion to get together with family and friends, plaster boats with festive lights, and don ugly sweaters in order to get into the Christmas spirit. 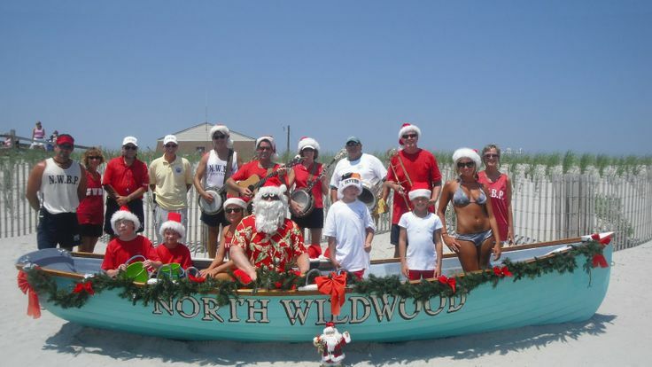 An annual tradition for over 20 years, Wildwood starts the festivities on North Wildwood Beach with a special appearance from Santa and his elves. With the help of the Wildwood lifeguards, candy canes are handed out to beach-goers and families have plenty of chances to take photos with Santa. 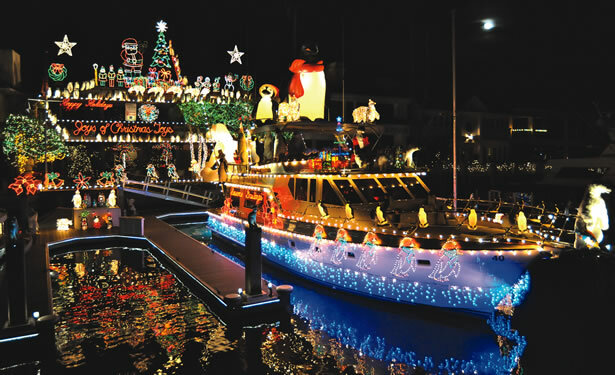 Later in the evening, boats are decorated with Christmas lights, ornaments, and a sunset parade starting at Shawcrest Marina to West Wildwood, Ottens Harbor, and Sunset Lake before finally ending at Lighthouse Pointe. There is plenty of entertainment including live music and prizes for the best decorated boats. 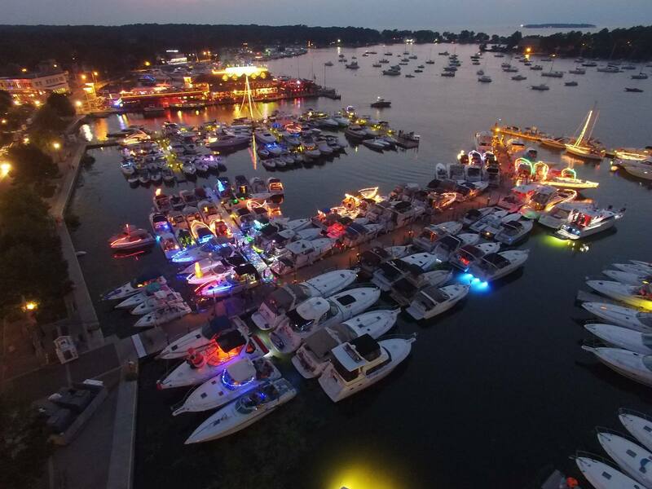 Christmas in July at Put-in-Bay is the biggest weekend of the summer! 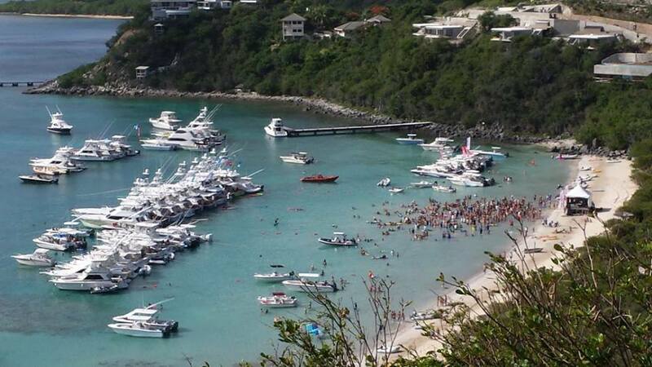 Every July, thousands of travelers decked out in holiday gear boat to the island just for this event. The city decorates with lights and decorations and a parade that goes through downtown Put-in-Bay with Christmas theme floats. All weekend the island celebrates at local bars and parties. Although it has no ties to Santa Claus, thousands of Puerto Ricans travel to Pond Bay, Virgin Gorda in The British Virgin Islands on July 25th to celebrate. 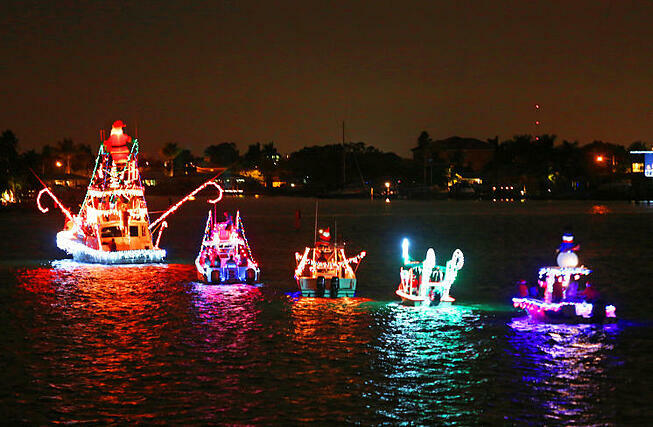 The event – which a full week long and attracts close to one thousand boats – has earned the name Christmas in July simply because of the date, but doesn't have any ties to the actually holiday. Each July boaters in Mystic Island, New Jersey hold an annual lighted boat parade leading through the community's lagoons. Houses along the water join the fun as well by decorating for the festivities and many visitors come out to see view the Christmas-themed boats as they parade around the town's waters. Since the tradition began 7 years ago, the event has been growing in popularity since.